The apartment is in the center of Rome just 100 meters from St. Peter's Basilica and a few meters from the home of Pope Francis (the “Saint Martha's House”), near the Pontifical North American College and some minutes walking from McDonald's. The apartment 75 m2, two large bedrooms, for 5 persons, living room with kitchen, bathroom, balcony, lift, bed linen, towels, internet, Free Wi-Fi, view of the dome of St. Peter's from the windows, TV Satellite, heating, Daikin air conditioners, washing machine, hair dryer, baby cot (crib) and child's highchair. The apartment is on the 5th floor with lift (elevator). The apartment is ideal if you come to Rome by car, because it is located on a street where you can park for free. Final cleaning, bed linen, towels, internet wi-fi, gas, water, electricity, heating, baby cot (crib) and the child's highchair are included in the price of the apartment. You let me know if you want the baby cot (crib) and the child's highchair, so when you arrive you will find these things in the apartment. First bedroom: large bedroom (20 m2) with one double bed (extra large) and one single bed. Second bedroom: large bedroom (18 m2) with one double bed (extra large). In the living room there are a sofa, comfortable chairs upholstered in leather and table. All major tourist attractions (St. Peter, Vatican Museums, Colosseum, Campo de' Fiori, the Spanish Steps, Trevi Fountain, Navona Square etc.) are easily accessible on foot or by bus and metro. The area surrounding the apartment is served by many shops, bars, supermarkets, internet cafes, banks with ATM machine (with bankomat), wineries, restaurants, pizzerias, pubs, ice cream shops and pharmacies.When you arrive I will welcome you in person and if you want, I will accompany you in the neighborhood and I will show you the supermarket, shops, restaurants, public transport stops etc. If you have questions before your arrival and during your stay you can write me: I’m happy to answer to you.There is near the apartment the office of Hertz (Hertz is the most important company of rental car without driver in the world). So if you want rent a car for visit the Italy during your stay, you can rent the car in the office of Herz near the apartment. Or if you decide to rent a car for visit the Italy during your stay and Rome is last stop of your trip, you can decide to rent a car of Hertz and when you arrive in Rome you can leave your car in the office of of Herz near the apartment. If you need more information about it, you can write me. WC, bidet, shower and window overlooking the dome of St. Peter. Final cleaning, linen, towels, internet wi-fi, gas, water, electricity, heating are included in the price of the apartment. Could not have asked for more. Emidio and his family could not have been more helpful and friendly. The apartment is tucked away but within minutes of the Vatican and very close to the frequent buses into the heart of ancient Rome. Thank you Emidio for providing an excellent base to enjoy our time with you. This was a lovely apartment in a perfect location for the Vatican. Our Host Emidio was a perfect gentleman and I don't think anything would have been too much trouble. He greeted us at the apartment, after showing us in and giving us information that we needed for air con etc he then took us on a small tour of the area for shops, restaurants, and bus stops. The apartment was spotless and very well maintained as was the entrance hall, we did meet some of the residents who live in the building all very friendly. This was our second visit to Rome and should we return in the future I would be pleased to go back to this apartment . Thank you Emidio for a lovely stay in your beautiful city. Excellent value, spotlessly clean, great location and very helpul owner. 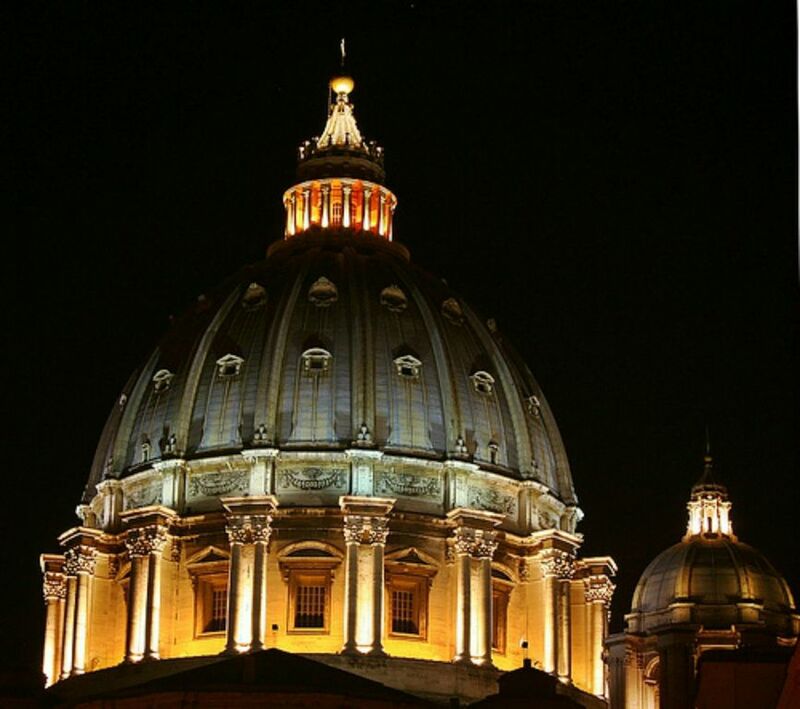 This is a great location for St Peter's Basilica / Vatican in general, and a great value place to stay. The owner took us (and the people in the flat below) for a walk on arrival, showing us the local shop/cafe/restaurants/newsagents, etc. He also arranged the taxi to/from the airport, and met us at the entrance to the apartments. Good for catching a bus or train into termini, or just walking to the castle and into the centre. All was excellent. Location: 25 minutes by taxi from Fiumicino Airport, 3 minutes walking to Vatican. Very nice apartment: two bedrooms (double bed, double bed + single bed), living room, kitchen with all necessary things and toilet (shower cabin). Owner was very polite, open and obliging. Prepayment and payment processes were simple and transparent. I could recommend this property and it's owner!!! Thank you very much! It was great week in Rome. My husband, my daughter, my parents (in there 70s) and I all stayed at this apartment during October. It looked exactly like the pictures. It was perfectly clean and in great condition. Having the elevator was a plus for my elderly parents. My experience with Emidio was great. While we were planning the trip, he responded to all my e-mailed questions in English nearly instantly. He met us at the apartment when we arrived with a friendly greeting. We had absolutely no problem getting all around Rome from the bus stop right outside the building acrossed the street. There were several very good restaurants within a few blocks of the apartment and we found a grocery store only a couple of blocks away. We loved having a home in Rome. I will highly recommend this apartment to anyone who is thinking of coming to Rome and I hope we will be able to return ourselves someday. The apartment is located in a quiet area. All major tourist attractions (St. Peter, Vatican Museums, Colosseum, Campo de' Fiori, the Spanish Steps, Trevi Fountain, Navona Square etc. ), are easily accessible on foot or by bus and metro. The apartment is ideal for those who come to Rome by car, because it is located on a private street where you can park easily and for free. The area surrounding the apartment is served by many shops, bars, supermarkets, internet cafes, banks with ATM machine (with bankomat), wineries, restaurants, pizzerias and pubs. The tourist tax isn’t included in the price. The tourist tax is 3,50 euros for person for night. The children until 9 years old don’t pay tax. If the children are 10 years or more 10 years old they pay the tax. La taxe de séjour de Rome n'est pas incluse dans le prix. La taxe de séjour est 3,50 euros par personne par nuit Les enfants jusqu'à 9 ans ne paient pas la taxe. Si les enfants ont 10 ans ou plus de 10 ans ils paient la taxe.